SchoolTonic is a leading edge software solution that enables utmost paperless administration of the schools and other education institutions. Categorized into exclusive modules for each department, the software provides and extreme automation solution thereby allowing the institutions to maintain the entire operations may it be pertaining to the students, staff, library, inventory, etc. efficiently. The software allows all domains work in sync with each other on a single platform effortlessly to enhance the overall performance. 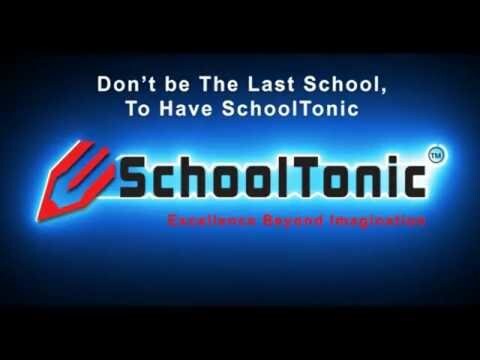 SchoolTonic is available as web based, easy to use and interactive software solution that enables the online access globally for perfect management of overall operations with no sacrifice in functionality. Shahidoon Software Technologies is a pioneer in software development primarily focused on IBM Lotus Notes applications. With expertise and hands on experience in developing IBM Lotus Notes database, Web based designing, Web services, Xpages applications with integration to other DBMS/RDBMS like Oracle, SQL, DB2, Access and SAP, the company provides end-to-end collaboration solutions for large enterprises. The Admin Control module of the software allows the institution to manage everything from a single interface. It provides a user friendly and easy to use control panel for school administrators to smoothen their operations in all. Effortless management of all classes along with their respective sections is simple, quick and easy with this module. Multiple sections of a single class can also be created on the fly. To eliminate the geographical barriers, applications can be managed online thereby easing the whole process for parents as well as school. The student admission status (such as pending, shortlisted, approved and rejected) can be easily tracked and updated timelessly with the Student Admission module integrated within this software. Periodic attendance can be instantly captured to reinforce the discipline and control irregularities effortlessly. Fee calculation, amount paid and intervals can be recorded for complete tracking of the fee domain within the software module. The details of teaching as well as non-teaching staff along with their personal information and photograph can be saved in the data store for future reference and can be managed the information centrally. The Examination Master allows the school authorities to plan, schedule and conduct the examinations effortlessly eliminating lots of tedious paper work. Marksheet creation based on marks scored by each student is now simple and easy. Integrated with examination module, the marksheet module collects the pre-entered information and generates the marksheets on the go. SchoolTonic makes the marksheet maintenance easier through the provision of marksheet creation (Subject wise-Student wise). An exceptional SMS integration facility is available with this software thereby allowing the school to maintain a communication channel with the parents, students and stakeholders. The software empowers with effective reporting tools for wide range of reports facilitating effective decision-making.